The Kewaunee River Segment is an 11.7 mile length of the Ice Age National Trail. 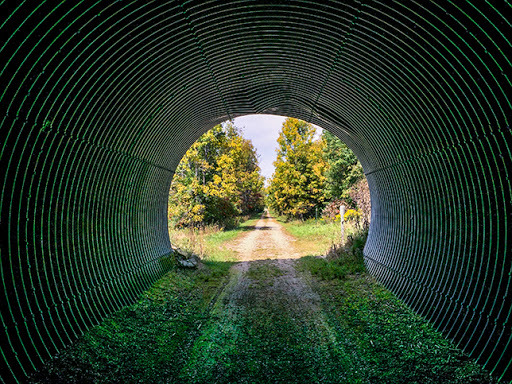 It follows a leg of the Ahnapee State Bike Trail from Kewaunee to Casco - almost always within view of the Kewaunee River. There are many sites and attractions along the way. 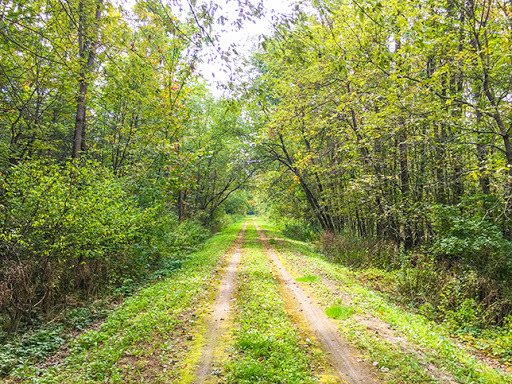 The trail is also well serviced with campgrounds, hotels, and parking lots. One of the wonders of the world greets hikers and bikers getting started on the Ahnapee State Trail in Kewaunee - The World's Tallest Grandfather Clock made by the Svoboda Industries Corp. 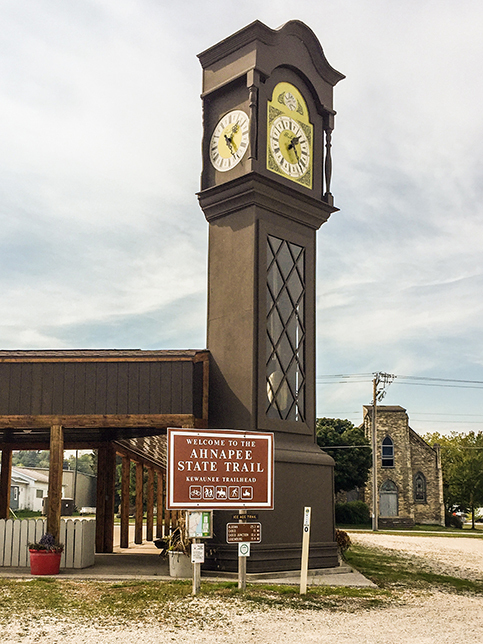 The clock stands facing Lake Michigan and the Port of Kewaunee from a picnic shelter and trailhead of the Ahnapee State Trail. The clock was built to celebrate the 1976 bicentennial. It features three faces: morning, day, and night. Across Highway 42 is a charming historic grand hotel, formerly the Karsten Hotel and now known as the Kewaunee Inn. You'll want to stay here if you are visiting to hike the Kewaunee Segment from far away - and ask for room 205. The hotel is a famous haunt for 3 ghosts whose disembodied voices have been recorded on EVP. If you're not staying the night in a haunted room at the hotel you should at least stop by for an after hike drink and dinner. The bar and restaurant are richly decorated in turn of the century style with hand crafted stained glass lighting built into finely detailed wood moldings. It's a throwback to an era when Kewaunee was an important lumber shipping town bustling with wealthy lumber barons. From Kewaunee the Ahnapee State Trail curves along with the Kewaunee River and crosses restored trestle bridges. 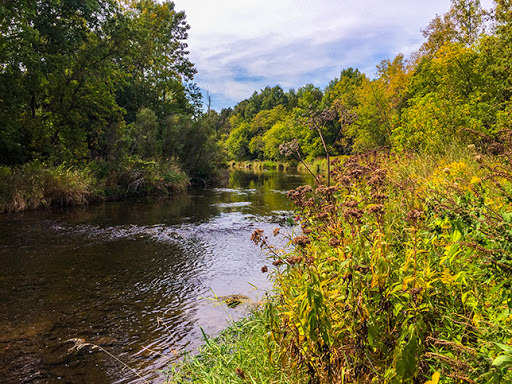 The quiet and shallow Kewaunee River is a lake salmon spawning river and a fish hatchery sits alongside the river where young salmon are imprinted with the Kewaunee River water. Nearby the hatchery is Bruemer Park and Zoo. This is a great place to stop and relax along your hike or bike ride. You'll be able to refill with water here and enjoy a picnic beneath shade trees. The Zoo features many animals ranging from goats to lynx. 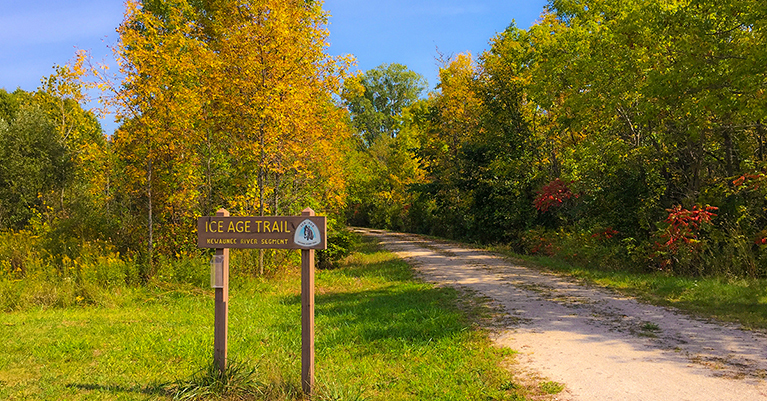 The Ice Age Trail portion of the Ahnapee State Trail finishes out at Maple Sugar Road near the Scarboro Creek crossing. The next trail heading westbound is the Tisch Mills Segment. Heading Eastbound, the Forestville Segment also follows the Ahanapee State Trail beginning in Algoma and heading north towards Sturgeon Bay. This post is a directory of all the segments of the Ice Age Trail. 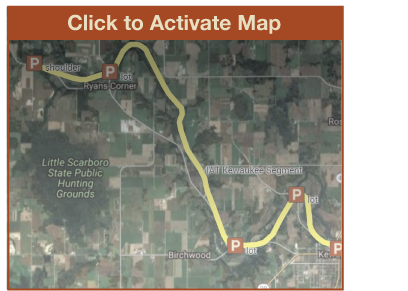 It includes an interactive google map of the entire trail with connecting route roads including. There's also an introduction to the history of the IAT. You can easily find any of the Ice Age Trail Segments Wisconsin-Explorer has covered in the index of segments.